Witness the sublime beauty of South India. South India has something for everyone. Discover a colonial port town, stand in awe of majestic tea covered hills, laze about on the backwaters, explore rural villages and relax on one of Kerala’s world famous beaches. 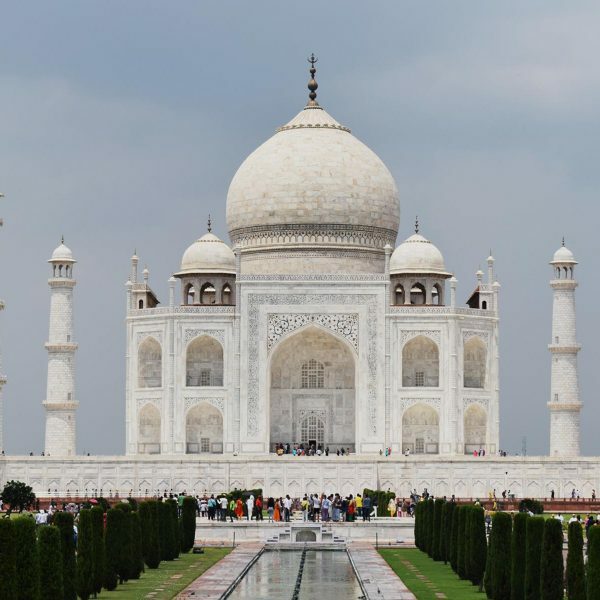 Starting from Mumbai, this 15 day tour package takes guests through the best of Kerala, the south India state that National Geographic Traveller has named one of the “50 places to see in a lifetime,” and one of the “ten paradises of the world.” You’ll see why when you visit this charming, friendly, and laid-back part of India. But we’ll also take you further and deeper into South India. We’ll visit rural Karnataka where guests will stay at a family home. Learn about village life as you spend two days in this coconut and fish filled tropical paradise. A mix of must-see sights such as the colonial port city of Kochi, the tea plantations of Munnar and numerous opportunities for local interaction make this tour the ideal choice to gain a full picture of South India. Sightseeing in the city on Day 2. 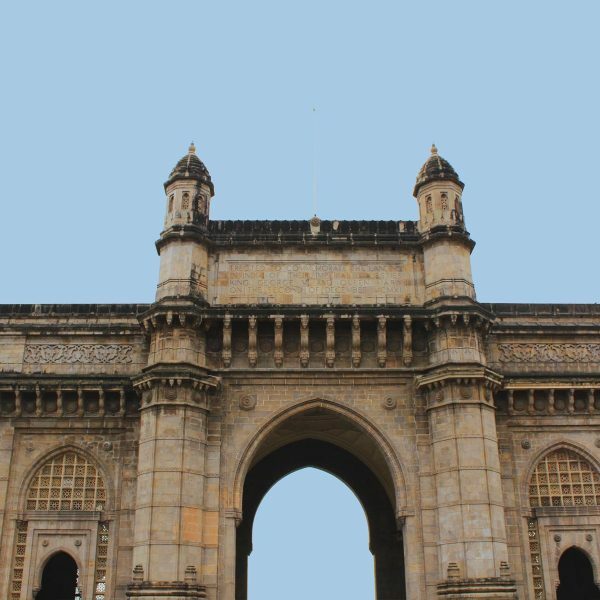 Arrive in Mumbai at any time and check into the hotel any time after 12:00pm. There are no activities this day, so enjoy exploring the city on your own. In the evening, your guide will come to greet you and the rest of the group in the hotel lobby. Over a welcome dinner, your guide will go over the itinerary for the next 14 days! On your second morning, we will travel together to Dharavi, one of Asia’s biggest slums and the heart of small-scale industry in Mumbai. The tour of Dharavi, our company’s signature tour, ends in the early afternoon and you’ll have this afternoon and evening free to explore on your own or take part in our Market or Night Tours. We’ll arrive in Kochi by plane in the morning and check in to our hotel. Day 4 is flexible. Estimated Travel Time:	2 hours flight. In the morning you’ll check in into our hotel. In the afternoon there will be an orientation walk with your guide, including spending time with some fisherman at the famous Chinese fishing nets and a chance to try it yourself first-hand. During the second day in Kochi you will be free to explore Kochi and visit the sights. In the evening, you’ll attend an amazing Kathakali performance. Kathakali, a 17th century dance-drama that originated in Kerala, will capture you with its elaborate costumes, make-up, and most of all, complicated facial expressions. Travel by van to Munnar departing Kochi in the morning after breakfast, arriving in Munnar in the late afternoon. Estimated Travel Time:	6-7 hour drive, with interesting stops along the way. During the long, winding journey to Munnar, your guide will show you many aspects of Keralan village life, including understanding some local industries such as brick making. Arriving from the hustle and bustle of Kochi, you’ll barely recognize where you are amidst the rolling mountains, fresh air, and tea plantations stretching as far as the eye can see. Upon arrival in Munnar in the late afternoon, you’ll have time to get settled into your guesthouse and explore Munnar a bit on your own and your guide can help you decide how to spend your next day here. Like hiking? Great! Want to learn how tea is farmed and produced? No problem! Prefer to sit back and relax with a good book, a nice cup of tea, and enjoy the scenery? Good choice! 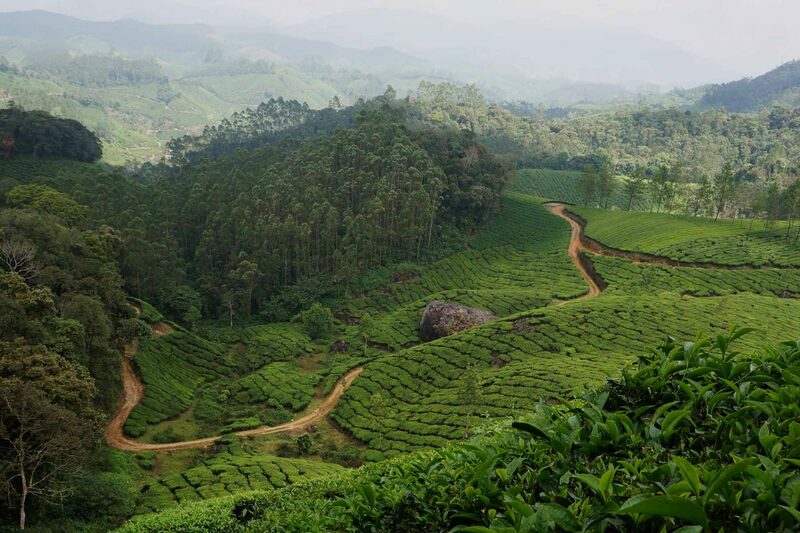 On Day 6, you’ll have the chance to visit Munnar’s tea museum to really understand what makes this hill station famous. You’ll learn how the tea transforms from a simple leaf to a piping hot cup of chai. And in the evening you will also see a traditional martial arts performance, Kalari Payatu. Laze about on a houseboat in Alleppey’s beautiful backwaters. On Day 7 we’ll continue south from Munnar to Alleppey, home to some of Kerala’s most famous backwaters. Along the way, we’ll stop off at a spice plantation to learn about the ingredients that make Indian cuisine so vibrant. We’ll arrive in the afternoon, settle into our guesthouse, and your guide can recommend a number of restaurants for dinner this evening after the long journey. The Kerala backwaters are a vast network of lakes, rivers, canals, and lagoons that make up over 900 km of waterways. The beauty of the backwaters is unmatched and cannot be missed. Day 8 will begin early with a visit to a local fish market, where your guide will help you choose delicious seafood to be cooked on board our very own houseboat for lunch! After visiting the fish market, we’ll make our way to the backwaters and board our kettuvallam (Keralan houseboat). It will be a relaxing day spent cruising along the backwaters, observing rural life along the backwaters, and maybe even stopping off for one of Kerala’s famous toddys! We’ll stay overnight on the open water in our houseboat and enjoy dinner aboard. After a free morning in Alleppey, we will take an early afternoon train to Kovalam. After the arrival, day 9 is completely open, allowing you to choose how you would like to spend your time on this stunning beach. Options include water activities, lounging on the beach, cooking classes, yoga/pilates, ayurvedic treatments, temple visits, and shopping. On day 10 we will have more time to take you on a day trip to the very southern tip of India, Kanyakumari. Our train will arrive in Byndoor in the early morning and from there we will take a tuktuk to Heranjalu village. After the arrival we’ll have breakfast with a local family in their home, where we will be spending the next few days. Following breakfast your guide will orient you with an introductory walk through his village and introduce you to his friends. Take advantage of his intimate local knowledge to learn about life there. In the afternoon we will participate in whatever village activities are happening at the time. This could be farming, a celebration, walking to the nearby river that is central to local life, or visiting the nearby coast and backwaters. We will once again join your local family for a group dinner in the evening. On the second day, we’ll spend the morning participating in more village activities and also visit Murudeshwar Shiva Temple, the second tallest Shiva idol in the world, before we travel back to Byndoor in the afternoon to catch our train to Mumbai. Our train will arrive in Mumbai in the early morning. The rest of the day is yours to see or do anything that you missed at the start. You are also welcome to join one of our city tours such as our Market Tour, Local Transport Tour, or Street Food Tour. That evening our trip will sadly come to an end and we’ll enjoy a farewell dinner together. The following day you can depart at any time. Reeling in Chinese fishing nets with the local fisherman and catching a traditional Kathakali dance performance are only two of the many adventures you will have in colonial Kochi! Spend some time with local farmers and visit their tea plantation as well as the factory where the world famous tea is made! Kick back, relax, and enjoy the view as “God’s own country” drifts past your houseboat as you slowly make your way through the Alleppey Backwaters. 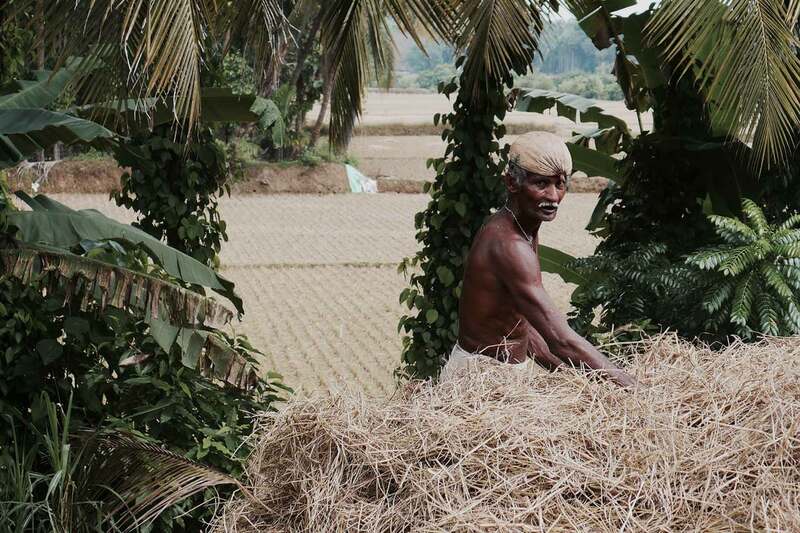 Visit a traditional village just across the Kerala state border. This is the perfect introduction to the village life (and the home of our Founder). After a whirlwind 10 days, spend some time relaxing on the beach, taking part in some water activities, or do some shopping. At present all our tours in South India are of fixed itinerary and duration. Unlike many operators we directly arrange all the tour services ourselves without using any agents. This makes sure we are confident in the quality of the service offered and allows us to focus on our unique local community connections in the areas visited. We stay in well-appointed mid range hotels, locally owned where possible. All hotels have hot water and most have Wi-Fi. Single passengers will share a twin room with another group member of the same gender if required. One night we will stay on a houseboat. You are welcome to pay extra to ensure you have a room to yourself throughout the trip – please get in touch for costs. Upgrades to 4* accommodation are available at an additional cost. The tour package includes various meals including breakfast in the majority of our overnight hotels, several lunches and dinners. My 10-day Kerala tour was the highlight of my 6-week visit to India. Travelling with Krishna (our guide) was great fun and his interactions with the people we met along the way opened them up to us so we felt we got inside the “real” India rather than just seeing the tourist facade. If you are wondering if you should go on a Kerala trip with Reality or not… I’m telling you- you should! I will remember the trip for the rest of my life. It is very well organized, you will see and experience all the important things in Kerala in a very interesting, but still quite relaxed manner. With relaxed I mean not crazy-hectic-touristic manner, but the days are still nicely busy. 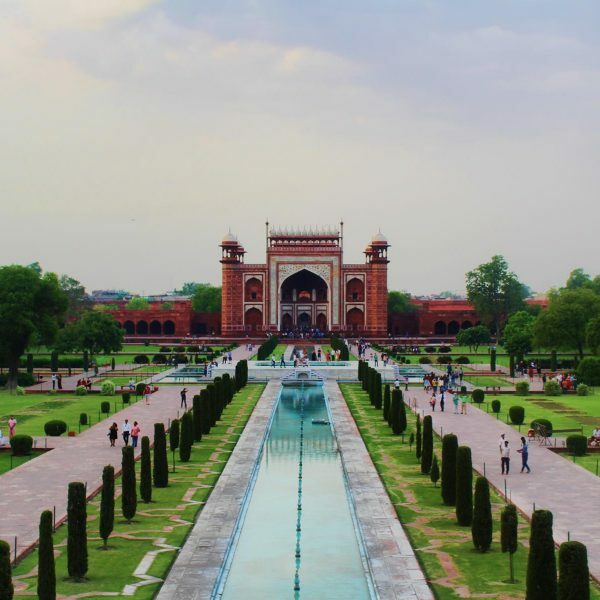 The trip offers it all, palaces, gardens, beaches, mountains, nice guest houses, run by kind and warm people, good food (and an opportunity to learn how to eat with your hands! ), comfortable traveling. But the best of it is the heart and soul of Reality Tours- the guide(s). Not only you get guiding at palaces and temples. You get stories of India, stories of people and stories of life. One of the best trips I have ever had! Thank you so much! We didn’t feel much like a tourist but more travellers. It was great to see and experience culture and activities that we wouldn’t have been able to on our own. 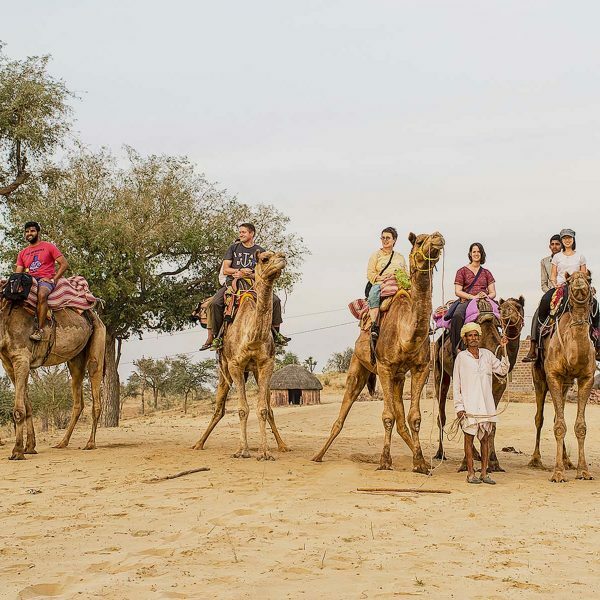 Overall the tour and the guide gave us confidence to travel in India again in the future. Krishna is a great guide and I would happily do another trip with him. He really is an asset.